Sweet Jojo Designs Anchors Away 4pc Queen Sheet set is made to coordinate with their Full/Queen Bedding Sets. 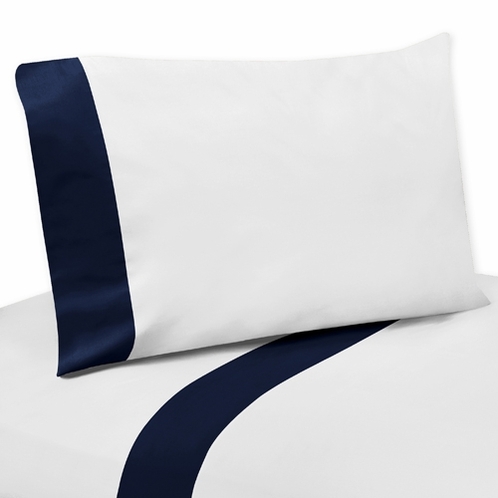 These sheets use white 100% Cotton fabric with coordinating navy trim. This sheet set is machine washable for easy care.